Welcome to Yoasis Frozen Yogurt & Yoasis Beach Bowls! We are Ocean City’s fun, new way to satisfy your sweet tooth. Our mission is to provide the community with an enjoyable experience and relaxing atmosphere, while promoting a healthy lifestyle. Yoasis Frozen Yogurt on Asbury Ave. Our self-serve frozen yogurt paradise, featuring 16 rotating flavors and over 50 toppings to keep you coming back for more! Yoasis Beach Bowls is a full service cafe on the Ocean City, NJ Boardwalk, featuring our Signature Smoothies, Acaí and Pitaya Bowls, and Organic Frozen Yogurts. 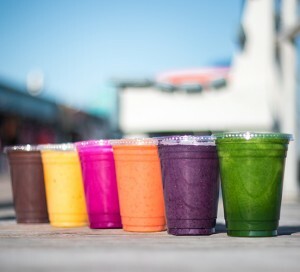 All smoothies are made with real fresh fruits and natural ingredients. At Yoasis, your options are endless. Mix and match from your choice of 16 featured flavors of frozen yogurt and over 50 delicious toppings. 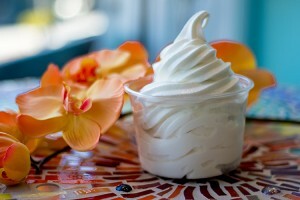 It’s simple: Swirl it. Top it. Weigh it. Pay it. And of course…ENJOY!! Our two locations downtown and on the boardwalk feature the same menu of Frozen yogurt, Beach Bowls, Signature Smoothies and Fresh brewed coffee. Yoasis has two convenient locations in Ocean City NJ. Our downtown location is at 838 Asbury Avenue and our new boardwalk shop is located at 1244 Boardwalk.